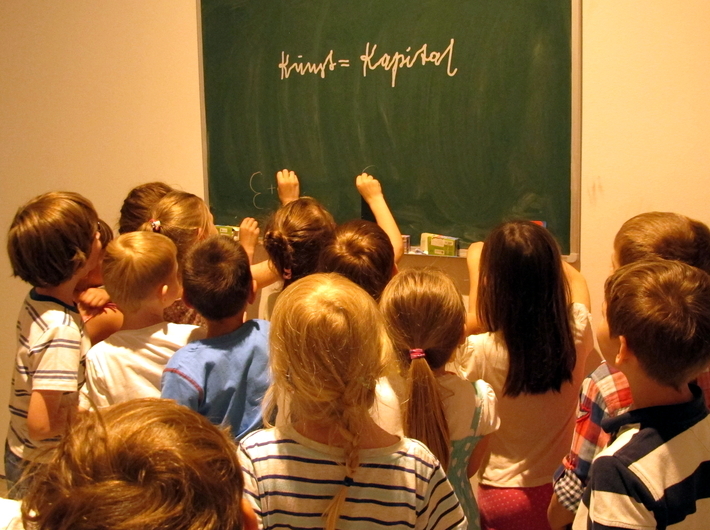 We would like to invite children aged 8–12 to our free-entry art workshops connected with the Economics in Art exhibition, to be held during the bazArts at MOCAK. The children will get the chance to explore basic economic concepts and art. The workshops will take place on 28 July and 10 August at 12 noon. Free entry. Booking required. Bookings will be accepted two weeks before each workshop via the booking form available on the website of the Education Department and by phone: +4812 263 40 29.